More and more gardeners are adopting organic gardening and having great success. A steady supply of healthy organic fruits and vegetables are the main benefit gardeners look for when creating an organic garden at their home. We are dedicated to helping you achieve the organic gardening results you want. The tips below will help you get those results. 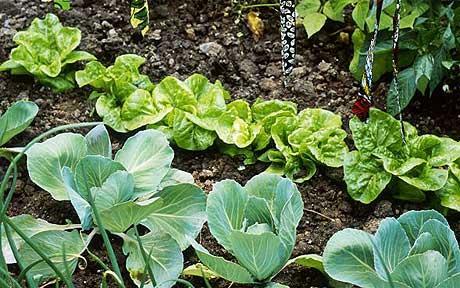 ~ Plan Your Organic Garden: Planning is crucial to a successful organic garden. You need to consider the layout of your plots. North-facing gardens in the southern hemisphere and south-facing gardens in the northern hemisphere are best. If your area is windy, you will need to find solutions for this, too. Fencing and wind-barrier plantings are popular ways to block excessive wind. Having water close by is just as important. Installing an irrigation system with a timer is a terrific idea. It will make the difference between enjoying your garden and being a slave to it. If you are planting trees and shrubs, check what their mature size will be. Many shrubs and trees are difficult to move. Trees will grow and make shade, so don't forget they do this. Sun-loving plants and flowers can't thrive in the shade. ~ Proper Watering: We all know that plants need water, but over and under-watering are some of the biggest reasons for an unsuccessful garden. Over-watering prevents plants from creating deep root systems, which are essential to the long-term health of the plant and your garden. Over-watering also tends to leach nutrients and lime out of the soil, causing poor growth and acidity. Finally, over-watering can wash chemicals, fertilizers, weed killers and plant nutrients off your property and into streams, rivers, ponds, and lakes. Such a situation can contaminate groundwater and, eventually, drinking water. Water your plants deeply about once a week and make sure the water goes deep into the soil and is not just wetting the surface. Under-watering your plant leads to dehydration. This weakens and stresses the plants, makes them susceptible to diseases, and reduces yields. Mulch can help with both of these problems. Mulch helps maintain more consistent moisture for your plants, and helps prevent weeds. ~ Avoid Using Inorganic Fertilizers: Inorganic fertilizers (those green crystals) contain too much salt and heavy metals, and prevent the growth of earthworms and soil microorganisms. They provide major nutrients, but don't feed the soil. The bottom line with fertilizers is: you want to feed the soil, not your plants, because your plants know how much to feed themselves! Excess nitrogen can decrease the number of flowers and fruits your plants produce. Excess nutrients, in general, pollute our waterways. These have become dead zones in many regions where major rivers run into the oceans.